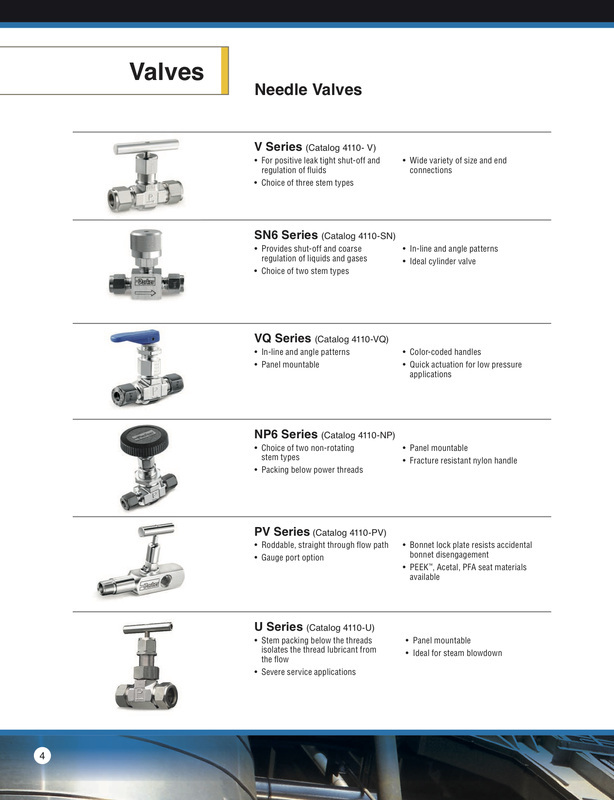 Parker V Series Needle Valves are designed for positive leak tight shut-off and regulation of fluids in process, power, and instrumentation applications. Wide variety of port sizes and styles, temperature capabilities ranging from-54°C to 232°C and pressures to 5000 psig (345 bar), V Series Needle Valves provide the user with the utmost in flexibility when designing miniaturized tubing or piping systems. 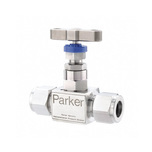 Parker compact SN6 Needle Valves provide shut-off and coarse regulation of liquids and gases utilized in process and instrumentation applications. These rugged valves are manufactured from stainless steel barstock and are integral bonnet designs with packing above the stem threads. 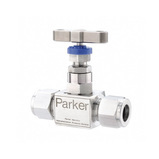 Parker NP6 Needle Valves are designed with packing below the stem threads and a two-piece stem. The packing below the threads protects the flow stream from thread lubricant contamination or washout and also protects the stem threads from potential damaging effects of the media. The two-piece stem produces a non-rotating lower stem for superior, repeatable sealing and reduced packing wear. Parker Rising Plug and Gauge/Root Valves are available with a variety of seat and seal materials. They are screwed bonnet designs featuring bonnet lock plates. 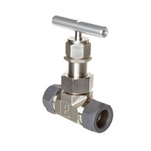 The PV and PVG Series of valves provide a straight-through flow path in two orifice sizes. The valves utilize a non-wetted upper stem and a non-rotating lower stem in conjunction with a tapered seat for positive shut-off and long seat life, even in particulated media. Parker’s multi-port gauge valves are purpose designed valves for operation up to 6,000 psig (414 barg) and 10,000 psig (689 barg). Complete with standard PTFE gland packing and self centering non rotational tip gives the user assurance of bubble tight seat shut off. For gaseous application soft tipped optional seating is available. 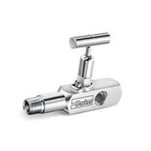 Globe style barstock needle valves are purpose designed valves for operation with any fluid up to 6,000 psig (414 barg) rating. Complete with standard PTFE gland packing and self centering non rotational tip, gives the user assurance of total in service sealing security. For gaseous application soft tipped optional seating is available.